Storage is the key concern of every modern home as there’s often not enough space for everything we need. Designers are getting more and more creative and we see more and more interesting solutions. Today I offer you to have a look at one more catchy and original piece. 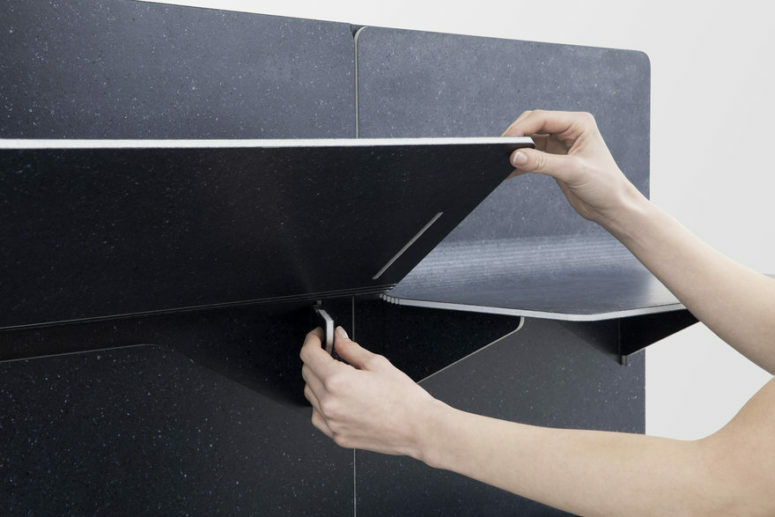 Industrial design studio LAYER and Danish textile manufacturer Kvadrat presented SHIFT, a shape-shifting retail shelf system. 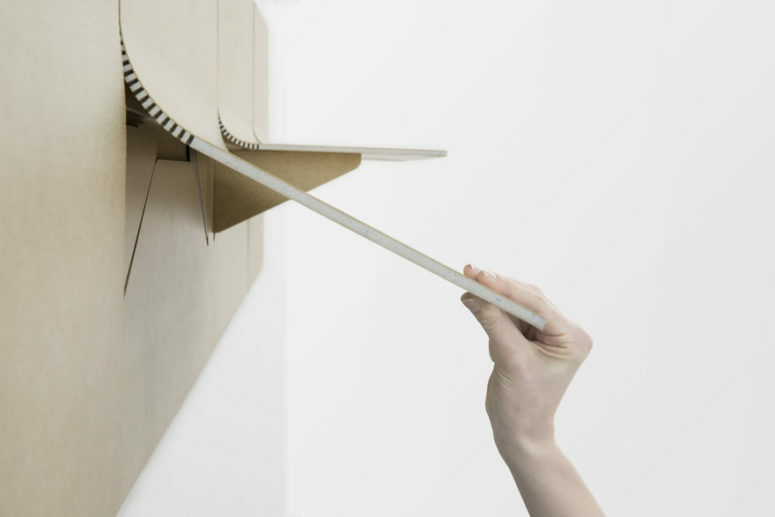 At first glance, it looks like a basic wall panel, but when you peel back the various top layers, a few different shelving options are revealed along with accompanying pop-out brackets. There’s a board, which is made from compressed upcycled textiles. 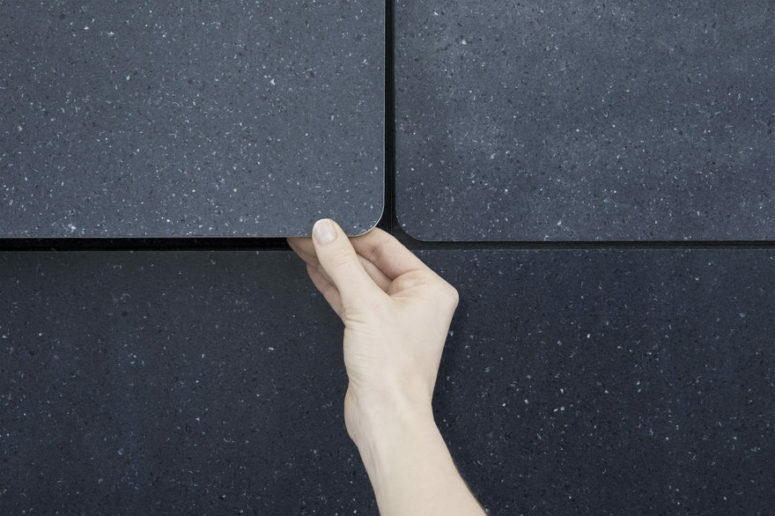 Intelligently machined kerf grooves are able to take the solid material and bring it back to its flexible nature in carefully selected areas. 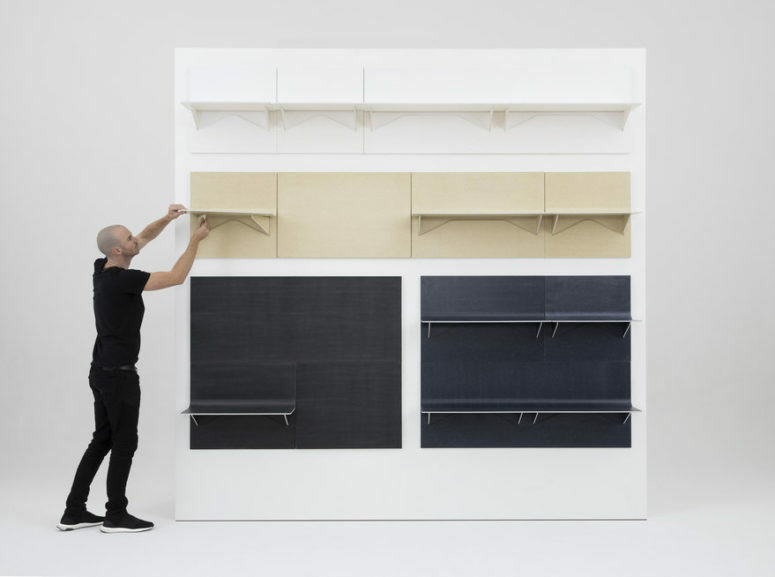 This allows the shelving system to act as both an acoustic wall unit when not being used for storage and a shelving unit that peels back when necessary. 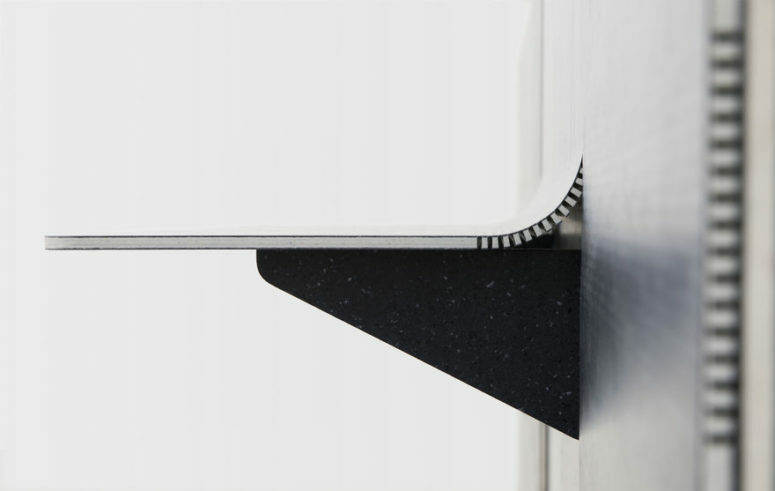 The flexible system uses no screws or bolts in its construction. You can SHIFT in either blue made from recycled denim, yellow and grey. Or, if you like to live life on the edge, the white version is made from recycled hospital bed sheets.